Chrome Controller and Steam Head! 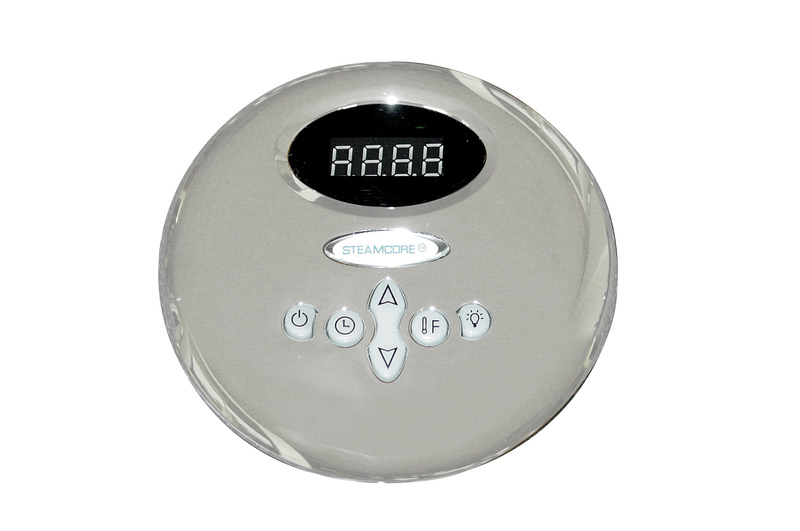 Enjoy the wonders of a steam bath in the comfort of your own home with the SPA II Steam Generator. Bathe in the benefits and relieve pain and stiffness, cleanse and clear skin, not to mention burn calories and boosting your immune system. The SPA II Generator is equipped with Xtreme Steam Tech allowing for more consistent heat and steam. Two-tank technology optimizes performance compared to single-tank system, resulting in more even temperatures, continuous steam and greater efficiency. 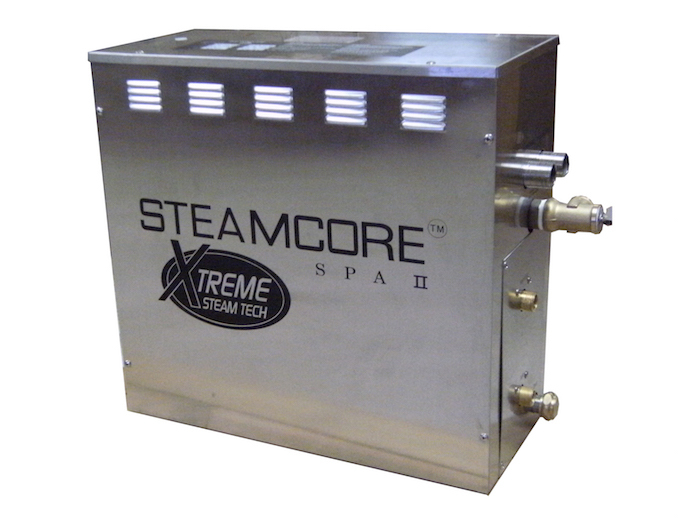 Steamcore steam generators are engineered with high quality and durable components. Ensuring a relaxing steam each and every use. Find the length, width and height of the room. Multiply the three measurements together to find basic square footage. Multiply the basic square footage with the wall finish. The sum of the basic square footage and the wall finish is your required max volume. If there is any doubt it is encouraged to go for the next larger size.